This week itinerary goes through the inland and along the coast of l’Empordà, one of the most beautiful landscapes in Catalonia. This allows a perfect combination of bike and beach holiday. 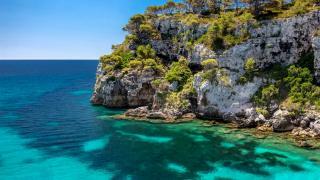 The route starts and ends in the medieval town of Torroella de Montgrí and combines a rocky coastline, a soft countryside and a rural atmosphere. Following the coast to the North you’ll find the important Greek-Roman ruins of Empúries and the natural park “Aiguamolls d’Empordà”, important centre of birdwatching. 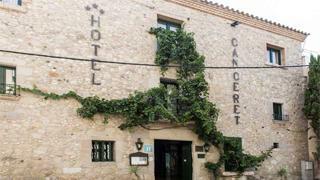 Towards the interior you visit an area with rolling relief and picturesque medieval villages. You will visit the most important spots of the area like La Bisbal d’Empordà, the region’s capital with its beautiful castle, and also the medieval historic monumental village of Peratallada. 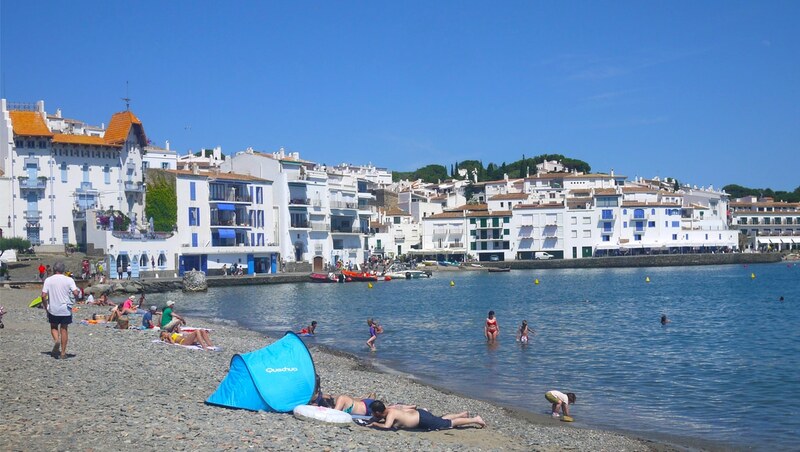 You return to the coast to the picturesque fishing village of Calella de Palafrugell that still retains it original charm with its typical colored houses by the sea. At the end of the route you return to Torroella de Montgrí through rice fields. On your way you’ll find excellent gastronomy, both from the sea and the field, impressive wild coast, large sandy beaches, and charming little medieval villages. Circular and relaxed easy tour. Discover the territory that inspired genius Salvador Dalí. Arrival at Torroella de Montgrí, surrounded by the Natural Park of Montgrí Massif, Medes Islands and Low Ter. The Mediterranean Museum is a must if you want to learn about the area. 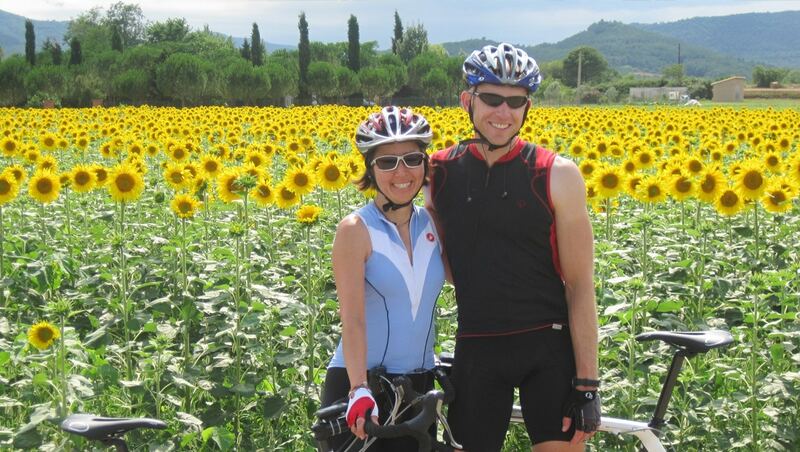 After the delivery of the necessary documentation and bike fitting (if bikes contracted), you can start your cycle tour. Of course, this could be a relaxing day by the pool or the beach. But a nice loop ride is also available to follow the Daro River and visit some small but very charming medieval villages such as Fonolleres. Then, you reach the ruins of the Iberian village near Ullastret, where you can enjoy the wonderful panoramic view over the area. You come back to Torroella through Palau-Sator and Peratalla, some of the most beautiful medieval villages of the area. You cycle down to the seaside to enjoy the marvellous countryside of the river mouth of the ‘Ter’ river, known as ‘La Gola’. 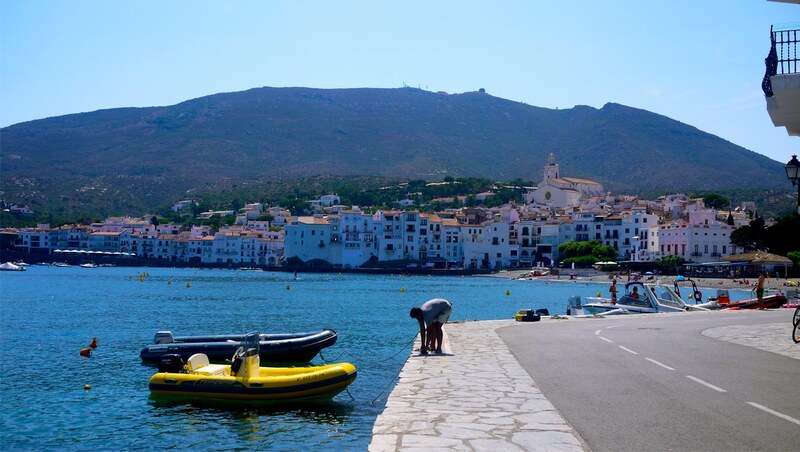 Then you cycle around the Montgrí massif and passing the medieval village ‘Bellcaire d’Emporda’ you return to the seaside at the lovely fishing village ‘l’Escala’, famous for it’s anchovies production. You visit the historical medieval complex of St. Martí d’Empúries and the famous Ruins of Empúries, along a lovely path by the seaside. 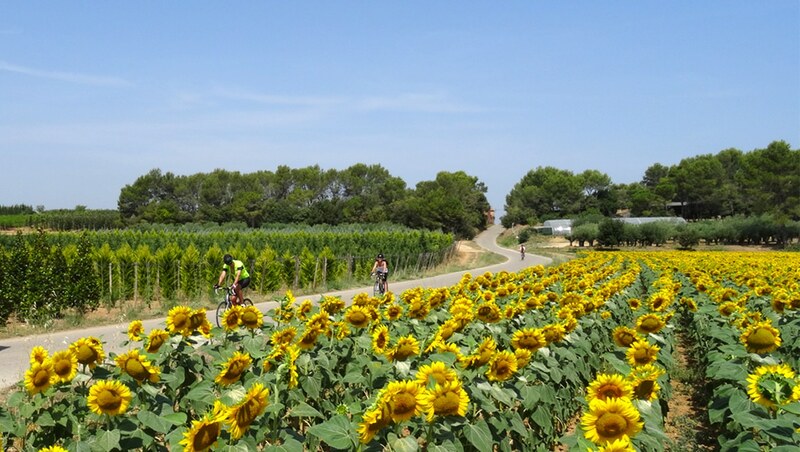 We start from Sant Pere Pescador to Castelló d’Empúries, following Pirinexus cycle route. Castellò is an important medieval settlement where you can visit the Jewish Quartier and its magnificent Cathedral. From there, we’ll head Peralada, the capital of the wine region, and we’ll get to Figueres where we can visit the Salvador Dalí Museum, the most visited museum in Spain. Then, taking South direction, we’ll pass through Siurana, where you find an olive oil mill. There is an optional visit to the Natural Park of l’Empordà wetlands, a protected area of great ornithological importance. 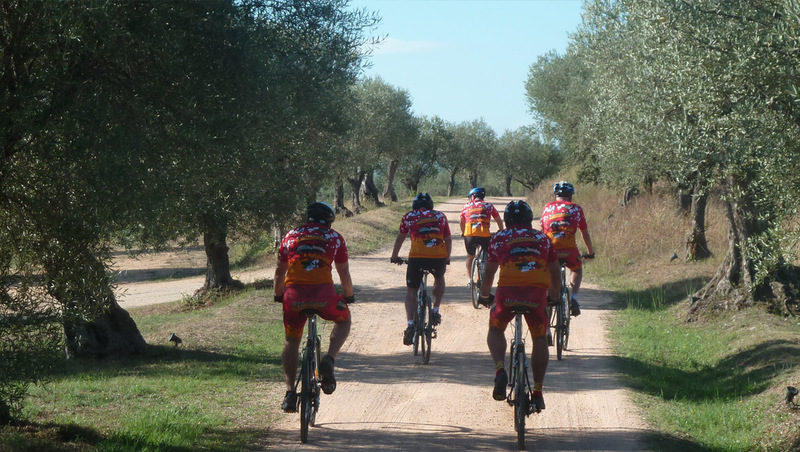 This route takes you from the Alt Emporda region to the Baix Emporda region, riding through the inland part of this area. This is eminently, a zone where we can visit typical rural villages, such as Sant Miquel de Fluvià, with a Romanesque monastery, and magnificent tower and Sant Mori and its castle. 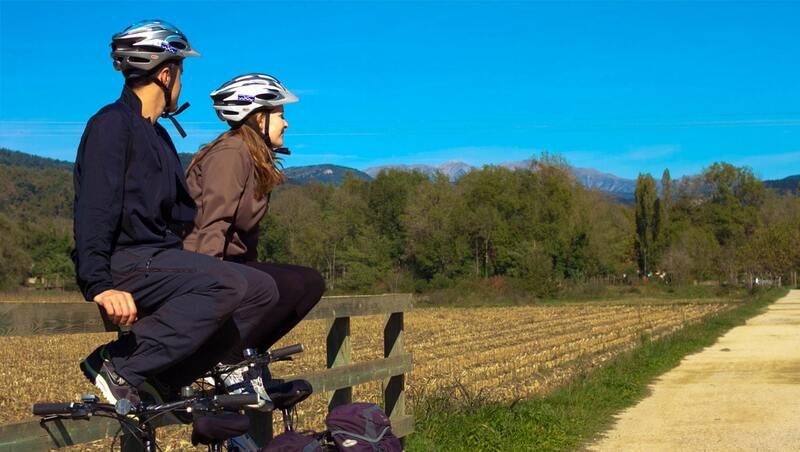 You pass Verges, a medieval village with the remains of its ancient walls, and Foixa, where we can see a magnificent panorama of the plain of the Baix Emporda. 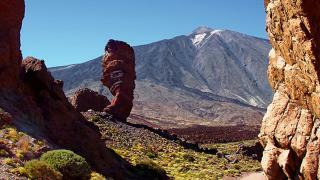 After passing the medieval villages of La Pera and Pubol you reach Madremanya. Today, the itinerary goes from the most interior part of region to the coast. It goes through a large number of medieval settlements: Cruilles, Peratallada, Ullastret… You can also visit La Bisbal d’Emporda, the region’s capital, with its medieval castle and its pottery museum. 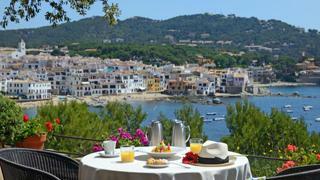 Lodging is in the old fishing village of Calella de Palafrugell, which still retains its original charm. Route to return to Torroella de Montgri along the area ‘Empordanet’ with a great variety of beautiful landscapes and culture. You visit the magnificent medieval historic monument of Pals. This day, the route runs through the interesting area of the Pals rice fields, and the long sandy beach of the Ter River mouth. It is a unique space in the heart of Emporda. The Hotel Moli del Mig Restaurant and SPA is located in the the majestic area of Massis del Montgrí and one kilometer away from the historic center of Torroella de Montgrí. With a careful restoration of the ancient mill, it boasts the most modern facilities and cutting-edge design that seek to highlight its historical value, respecting the landscape in an integrated architecture in the natural environment with seven acres of gardens and fields. 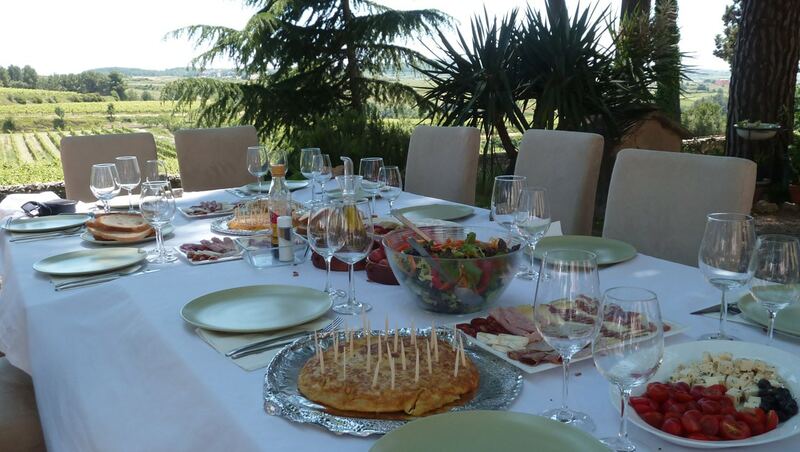 Can Ceret is located at the mouth of the river Fluvia, close to the famous «Aiguamolls de l’Emporda». Can Ceret is located at the mouth of the river Fluvia, close to the famous «Aiguamolls de l’Emporda», a spot of high ecologic value for its autochthonous flora and fauna. The hotel is a restoration of a gorgeous and singular building of the XVIII century where you will be able to enjoy a relaxing stay in a warm scenery, so that you can feel like at home. 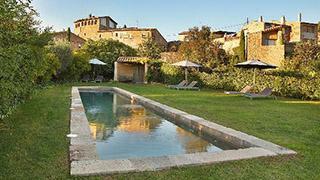 Hotel La Plaça de Madremanya is situated halfway between the area of Girona and the Empordà district. The jewel at the heart of this little paradise of gentle hills is the Restaurant La Plaça, with its refined and subtle cuisine, which has been transformed into a charming little hotel, surrounded by a sweet-smelling garden and looking out over the green Gavarres hills. Sited on top of the hill, the hotel is surrounded by little houses; all fashioned from the same honey-colored stone in a handful of streets where time seems to stand still. 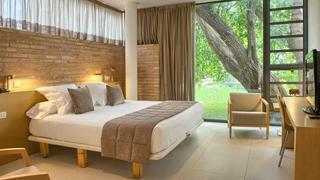 Enjoy exceptional views of Calella in a comfortable, intimate and relaxed atmosphere. It’s a beautifully decorated and extremely well-kept hotel, with gentle staff and a great soul. It’s within walking distance to everything in the little town. At the bottom of the steps is a beach or rocks for swimming, and a playground is in front of the hotel. Hotel San Roc has rooms with own character, most of them with sea views. 7 nights’ accommodation in double room with B&B. Each hired bike includes: a pannier, a helmet, a map carrier, an odometer and a water bottle. Per couple their receive a basic reparation kit and one bike lock.